A woman was confronted and viciously attacked by a group of males in an horrific racially-aggravated assault. The 34-year-old was walking home in the early hours of December 11, 2016, accompanied by her partner, when the violent assailants allegedly subjected the pair to a tirade of racial slurs. After she defended herself against the vocal abuse, which occurred near the Skydome in Coventry, the woman was physically assaulted just out of shot of a CCTV camera. 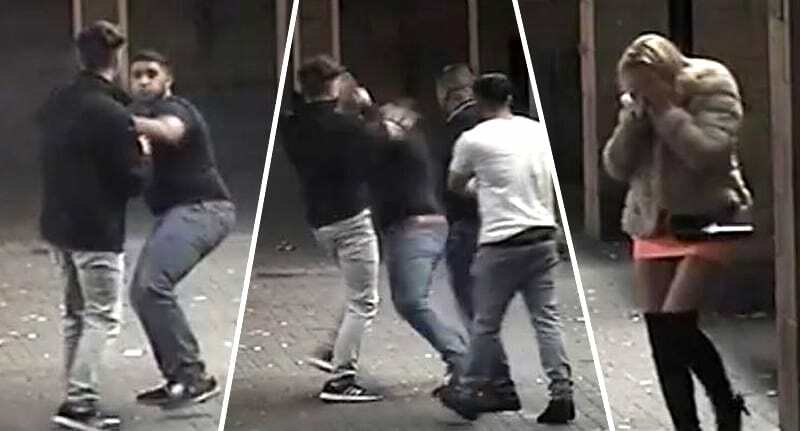 Moments later, she stumbles into the camera’s line of sight, clutching her face after the group of thugs fractured her nose and cheek bone with a series of blows to her face, reports the Mirror. She was subsequently rushed to hospital for treatment. Meanwhile, security officers could be seen breaking up the fight between the gang and the victim’s partner. A 34-year-old woman was walking home from a night out with her partner when a group of three men shouted a racist comment at her. When she tried to confront them she was assaulted and sustained fractures to her nose and cheekbone. If you don’t want to speak directly to the police, you can contact the independent charity Crimestoppers anonymously on 0800 555 111, quoting crime number 20CV/244814U/16.